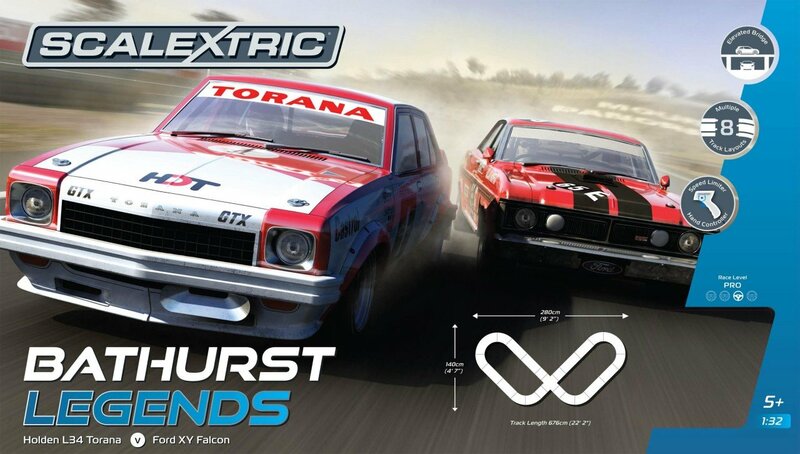 Scalextric Bathurst Legends - Allan Moffat v Peter Brock. 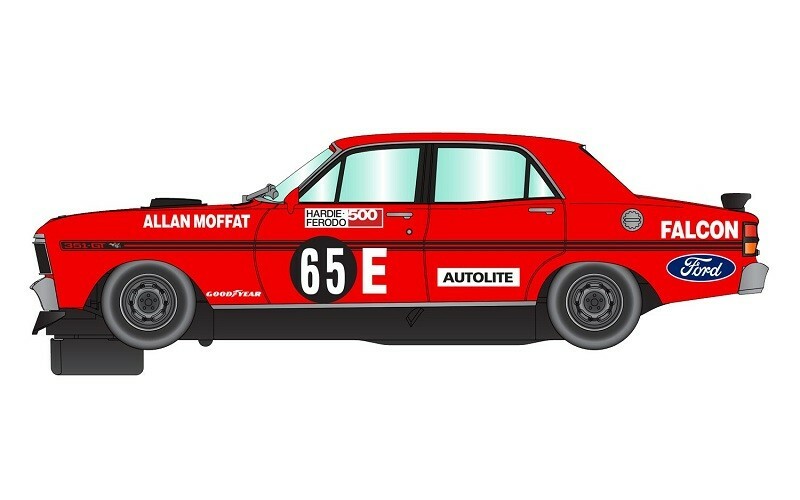 The Aussie only set contains 2 of the biggest Bathurst legends of all time. 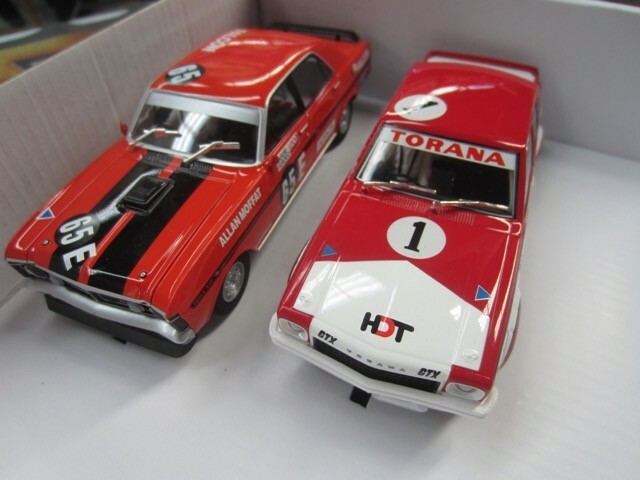 Peter Brocks HDT Holden Torana and the mighty Ford Falcon GTHO. *Self centering guide blade with spare braid plates. DPR (digital plug ready - Chip sold separately). Speed limited hand controller (perfect for beginners). 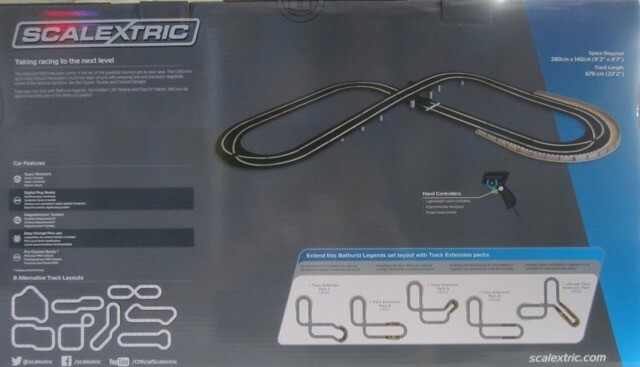 Compatible with current Scalextric 'Sport' track.